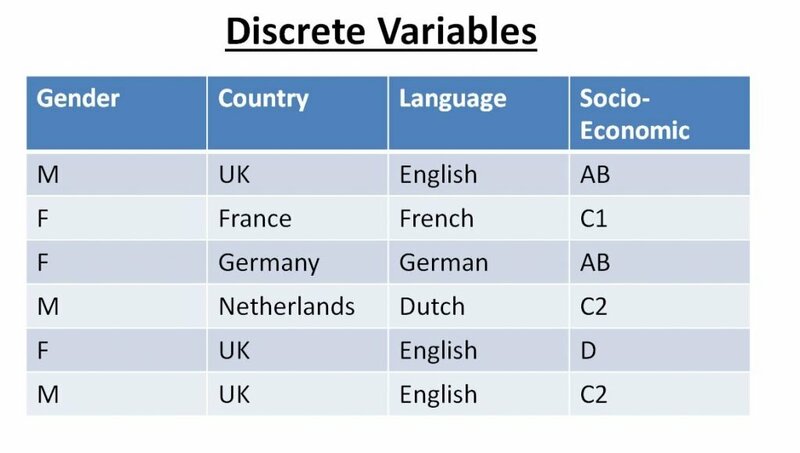 A discrete variable is a data item that has only a certain number of values and so does not have an infinite number values. From an A/B testing perspective you might use discrete variables such as user type or behavioural segments for analysis purposes. See also Continuous variables.